IN the vast majority of cases, non-league football (indeed, football in general) is a cyclical business. Teams are built, enjoy some degree of success or survival, then the team breaks-up and the club starts again. Hitchin Town is currently going through a cycle of sorts, the sort of period that is often described as “transition”, “rebuilding” or “treading water”. Manager Mark Burke (left) is in his sixth season in charge, he will soon be one of the club’s longest serving in that role. He’s been associated with the club since 1985, so he’s part of the furniture and that furniture is now in the dugout – when he’s not patrolling the technical area. He’s been involved in a few relegations, promotions and FA Cup runs. As manager, he took a young, attractive team to the brink of promotion in 2015-16 and 2016-17, but each time they fell at the play-offs. But that team has moved on after a campaign that was something of an anti-climax in the league although two trophies, the Southern League Cup and Herts Senior Cup, were added to the honours list in the club’s boardroom. If Burke could ever be under pressure given his somewhat unique status at the club, he might have felt it in this first month of the new season. Three straight defeats, including a humiliating, crushing 8-1 loss at Needham Market, set the alarm bells ringing at Top Field. Admittedly, Burke had to field a team shorn of four players from the opening day game against highly-fancied Kettering, but 8-1 is 8-1 and teams do not get unluckily beaten by that scoreline. Add to that a late capitulation against Lowestoft, throwing away a 2-1 lead with seconds to go, and it was understandable that Burke pleaded, “bring us some luck” before the game against Redditch United. Hitchin are in their eighth season since winning promotion in 2011. In modern times, the club has had spells at step three that have lasted five years, 10 years and now eight respectively. There’s something of a cycle in that sequence and you could argue that Hitchin are due a sub-optimal season. In fact, the average tenure of the clubs in Hitchin’s division is under five years, although you have to consider that some are in an upward trajectory and passing through. Similarly, the average period between relegations among these clubs is around six years. The secret is to transition while avoiding any talk of relegation trouble. Believe it or not, some people were already muttering words like “the drop”, after just three games. “I seriously don’t think we will come back up if we go down,” said one fan. 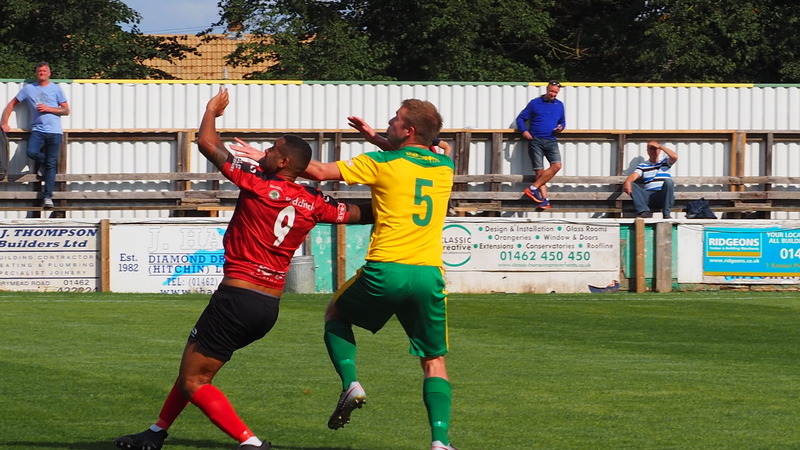 Similar sentiments were expressed in 1998 and 2009, but each time, Hitchin regrouped and came back swiftly – in fact, in the 2009-2011 period at step four, Hitchin fans enjoyed seeing their team trounce the opposition. Each time, the club has rebounded stronger (average two and a half seasons over three relegations between 1988 and 2010) than when they were relegated, boosted by the loyalty of its fans and a clean slate. Hitchin being Hitchin, a walk through the turnstiles (now with technology to scan online tickets and seasons!) is soon followed by a hushed discussion about the ground and its future. The latest rumour – or should we say, worst kept secret – is a move to a nearby school. This site is somewhat closer to home than the last aborted project, but will undoubtedly be greeted with the same level of scepticism. Actually, it has become a very tiresome subject. But there’s a lot of energy and optimism about Top Field these days, regardless of recent results and the ongoing saga of property speculation. 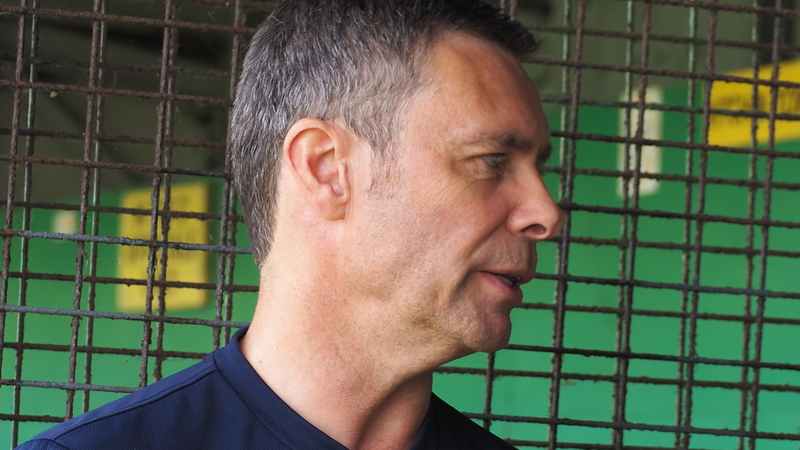 There is new blood within the club, younger faces and fresh ideas that have helped transform the Hitchin Town website, introduce online ticket sales and new initiatives. There’s even radio commentary in the form of NorthHerts FM, which not only includes long-time Canaries’ fan Brian Gray, but also a young lad of just 14. An encouraging sign. 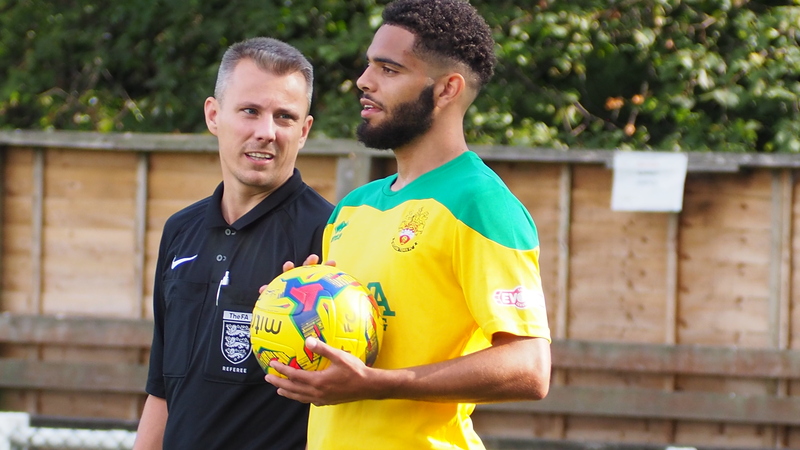 The future of Hitchin Town, and all non-league clubs, is in getting new folk on board, preparing the next generation to succeed the flat caps, thermos flasks and arthritic hips. Cycles are not just about results, they are also about fanbases, commercial loyalty and renewing and refreshing business acumen. And what of the team? In non-league football, the squads are changing faster than ever and Mark Burke had used 19 players in the first three games – at that rate, he’s heading for a 50-man season. Against Redditch, who had won one of their first three, he added another new face, Noah Chesmain (pictured right), to his team. Also in the line-up was Ezra Forde and on the bench, Isaac Galliford. It was a long way from the days of teams of Darrens and Jasons! All three looked good, in fact, Chesmain, a left back, had a solid debut. Forde was compact and lively and when Galliford came on, he really caught the eye with his running and directness. Why doesn’t this fellow start? But it was the old faithful, Dan Webb (left), that won the game for Hitchin, earning himself the man of the match Prosecco. A long free kick to the far post by Chesmain was met by the centre half and he bravely squeezed the ball into the net. Hitchin were by far the better team and although Redditch pressured late on, the points were deserved and probably made Mark Burke’s evening that much better. There certainly didn’t seem to be a lot wrong, in relative terms, with his team on the evidence of this performance. Grinding out a result, isn’t that what people used to say before terms like “game management” became fashionable? The future of the ground a “tiresome” subject? Possibly tiresome to those who won’t show their cards or those who are apathetic. But certainly not tiresome to the many supporters and people in the wider community, 1,500 of whom threw their weight behind the Save Top Field Campaign and marching in December 2014 against the proposals to move HTFC from their current home. The rumour mill is indeed rife as you rightly say Neil and while all these continual rumours circulate there has been a total absence of any consultation with supporters and the wider general public. It’s quite bizarre though that so many people not at the top of the club claim that the rumour of a move to The Priory School will happen. What I find really incredibly sad is that if this rumour is substantiated it may almost certainly be a case of far too little far too late to do anything about it. I get told told regularly by people “Jackie, Top Field is gone and 400 supporters will not get in the way of Andy Melvin’s plans”. Tiresome, because it goes on and on and on and on. As for 1,500 people, I think the majority were not there for the football club or its future, but because of the issue around the supermarket (Tesco) and the green belt. If 1,500 people were that bothered about the football club, the attendances would be better than they are. A lot of people were concerned about the fact Tesco were moving in next door. If that had been Waitrose, it would have been a different story. It is well known fact that if Tesco moves next door, house prices can be negatively affected, but if a Waitrose moves into the area, house prices go up – as does the LibDem vote, by the way! I interviewed several people on the walk and three quarters had never been to a game, but were concerned about supermarkets and green belt. Indeed, some members of the campaign, when it was launched, asked who the Canaries were playing that weekend – it was June/July! Moreover, they were also concerned about the concept of the little man being bullied. All legitimate concerns, by the way, and worth protesting about, but I genuinely don’t think football was the only reason behind the protest march, aside from those loyal Hitchin Town folk. Attendances and public awareness suggest a non-league club(and I am not talking just Hitchin here) is not that important to the majority (1% of local population are arguably interested). But those that do care, care an awful lot. Just my opinion on the issue. I agree with a great deal of your summary here Neil and the bigger picture involved, including the other factors outside of football and why so many people from the wider community got involved, especially on the day of the Save Top Field Campaign town wide protest march. Previous Entry The Non-League 100: Peterborough United of the ’50s – perhaps the best? Next Entry Football Media Watch: Fall of the Roman Empire?